Do you have a vocation to the Permanent Diaconate? 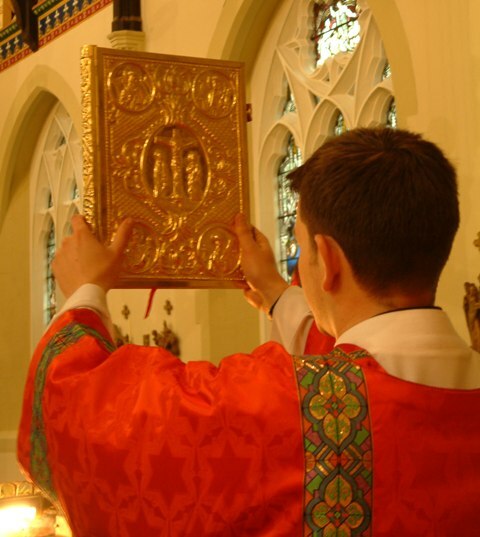 Catholic men between 35 and 55, with a close connection with the Diocese, who are married or single, are invited to consider a vocation to the Permanent Diaconate of the Diocese of Lancaster, an ordained ministry of the Catholic Church. Do you feel called to follow Jesus ever more closely? Do you love the Catholic Church? Do you have a desire to serve the Church? Do you seek to live by the teachings of the Church? Do you care about justice for the poor, vulnerable and marginalised of our society? Do you want to learn how to teach, explain, and defend the Catholic Faith? Do you eagerly participate in the celebration of the Mass, and seek healing in the sacrament of confession? If your answer is yes to these questions have you considered the possibility that God is calling you to serve the Church as a Permanent Deacon? ‘And the twelve called together the whole community of the disciples and said, “It is not right that we should neglect the word of God in order to wait on tables. Therefore, friends, select from among yourselves seven men of good standing, full of the Spirit and of wisdom, whom we may appoint to this task, while we, for our part, will devote ourselves to prayer and to serving the word.” What they said pleased the whole community, and they chose Stephen, a man full of faith and the Holy Spirit, together with Philip, Prochorus, Nicanor, Timon, Parmenas, and Nicolaus, a proselyte of Antioch. They had these men stand before the apostles, who prayed and laid their hands on them.’ (Acts 6: 2-6). Deacons are not ordained to be priests, but are ordained to the ministry of service, which from the early days of the Church has been characteristically associated with service of the poor, vulnerable and marginalised of society. Having said this, deacons are not ordained to be social workers either, but receive the sacrament of Holy Orders to be strengthened and conformed by grace to represent Christ the Servant of the Father and His people. The deacon is an icon of Christ the Servant in his threefold ministry of charitable service of the poor, service of the Word through preaching and catechesis, and his service of the Altar, through assisting the priest at Mass, administering the sacrament of Baptism, and officiating at weddings and funerals. “…whoever wishes to become great among you must be your servant, and whoever wishes to be first among you must be slave of all. For the Son of Man came not to be served but to serve, and to give his life a ransom for many”. (Mark 10:43-45). A genuine love and respect for the Church. A natural inclination of service to all in need. A real desire to assist the bishop and priests, and to serve the people. The capacity to put others first. Uninterested in status or prestige. A capacity for dialogue, implying a sense of readiness to learn from others and an openness to others. The ability to share the Faith. The ability to listen respectfully to other’s points of view. The capacity to listen carefully. The capacity to stand up for the truth and respectfully challenge others. A sense of responsibility, including fulfilling one’s word and completing one’s work. The ability to lead, motivate, facilitate and animate others into appropriate action. A deep spirituality and prayer life. Active involvement in the Church’s apostolate, including evidence of on going commitment. Holiness, expressed through seeking God’s will and seeking to live a virtuous life. 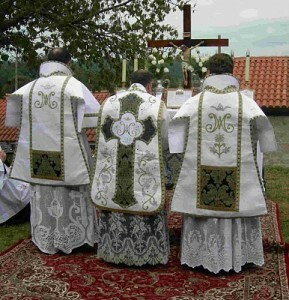 Regular participation in the Church’s sacramental life. A desire to grow in faith, expressed through participating in retreats, on-going formation, etc. A positive and stable marriage, if married. A mature celibate state of life, if single. Any good Catholic man who meets the age requirements set out on the next page, and is capable of carrying out his family duties, holding down his job and, in addition, can give the time necessary to enter into the diaconal formation programme, is potentially a suitable candidate. An inability to offer much time in the short term to church work (e.g. because of family and work commitments) need not be a deterrent to choosing men who can give some time and otherwise seem well suited to diaconal ministry.